Even skin tone, minimize fine lines and dramatically reduce the appearance of red blemishes, broken capillaries, acne scarring, pigmentation, sunspots, and age spots. ClearTite module is intended to emit energy in the infrared spectrum to provide topical heating for the purpose of elevating the tissue. Improving circulation, reducing inflammation and promoting cell regeneration. After image is shown 2 weeks after 1st image. Smoothing out fine lines, targeting redness, hydration has improved. 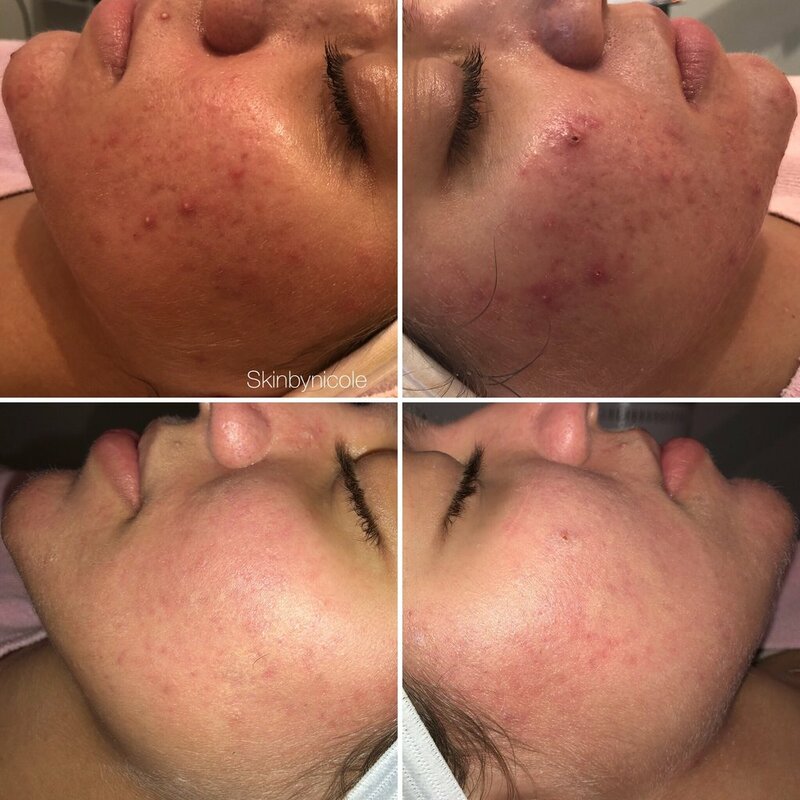 After image is shown 2 weeks after 1st treatment, targeting brown spots, hyper-pigmentation giving a brighter complexion. After image is 4 weeks after 1st image. Targeting acne bacteria, sunspots lifted on cheek, and providing an even glowing complexion. After image is 2 weeks after 1st image. Targeting hyper-pigmentation, and acne. After image is 4 weeks after 1st image with treatments 2 weeks apart. Targeting bacteria, improving inflammation of redness.